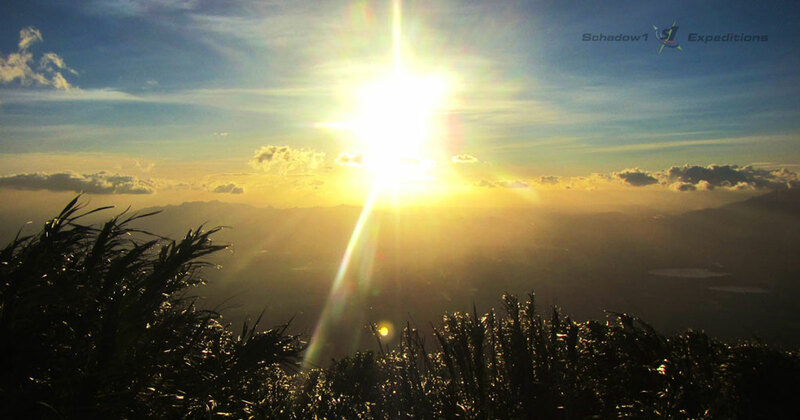 Choosing to travel the Philippines, climbing its mountains and its effects for the Filipinos. They say traveling is expensive, a waste of time and unprofitable. Why bother climbing mountains when after you go up strenuously, you would have to go down. Add to it the dangers of climbing where you can be exposed to various environmental hazards. I say, some people do miss the whole point of what adventure brings to our lives. It is like asking a question, why live when everyone dies. The essence of travel and climbing mountains is not seen on how you go to a certain place but then get back to where you were. It is measured on how you have learned to be with nature and how this experience molds you as a person, and how this is shared to the people around you. Though money is important as you travel, it is irrelevant in the long run as happiness is gained not through the price of things but through its worth. Personally, the reason for my travel is both religious and nationalistic. Religious in a sense that through climbing mountains, watching sunrises and sunsets, gazing the stars at night, hearing the waves from the sea and uniting with the creatures beneath it is nothing but a testament to how great is the One who created them; and how minuscule we are as compared to the magnanimity of the surroundings. Yet we are blessed to be part of it, to witness it and be with it. And with such, the result is a realization that no material thing could ever give you the ultimate satisfaction as what we all need has been prepared for us for eons. There is no need to politicize, destroy another human being or environment to satisfy a greedy motive as there is no point nor room for greed when your playground is nature itself. Nationalistic, as what you need is already here where a Filipino is born. As you read along Schadow1 Expeditions, I hope my countrymen will turn to a realization that there is no need to go further as your dream destination is just around you. Probably, it may just even be next door. The beauty of the Philippines emanates on land, on air, and even beneath the seas within its borders. Filipinos are plagued with its colonial mentality that does not only cause ourselves to choose over what is non-Filipino. It is already a cancer that is the root cause of all things why a Filipino maintains to be non self-reliant. Why many people turn overseas to find a "greener pasture" and why some Filipino employees of multinational companies indulge in corporate politics, satisfying even the personal needs of foreign direct reports while leaving behind the needs of fellow Filipinos beneath them. It only means jobs locally are insufficient as most Filipinos are relying on multinational companies to bring in a few money within our pockets in the form of salary. Imagine if we use our resources and skills to create businesses locally and hire fellow countrymen while Filipinos prioritize the use of its own products and travel its own tourist destinations. The end-result will be a cycle of self-sustaining ourselves and enriching our countrymen. I would however like to be clear that I am not discouraging anyone to travel destinations beyond our borders, but I do suggest to know your country first before knowing what's not ours. With these realizations comes my advocacy in mapping the Philippines since satellite imagery and GPS became freely available. To help my fellow countrymen in rediscovering our motherland and hope that in the future of navigation, such data that came from my and other advocates' contributions, will be used for the improvement of Filipinos not only today but of the far future. And with such data, Filipinos will be encouraged to travel their own country and vastness of its territory, hoping that through it, my countrymen will realize the same realizations I have as I travel along. With the vastness of the places around us, a whole lifetime may not be sufficient to learn the culture of various people and the beauty of the surroundings it beholds. And when the time comes that this body depletes its capability to travel and climb mountains; and walking a hundred meters seems to be already reaching a mountain's summit, I would at least be proud that there was a chance to share the experiences I had to the readers of this blog and the traces I left behind on Philippine maps. And when that time comes, as I look up a mountain as I seat on my chair; once upon a time, I was up there standing and shouting to the world how wonderful our country and our creator is. Great article! I do agree that, as of today, only afew would think and feel that "adventure" is necessary to add up to their expenses. By saying that so, some tends to be sole business minded, ie. cutting trees in pristine places of Baguio, bcuz of the lack of connection between human and nature. I am not saying that we should be Pagan right? But yes, let's reserve some respect to our nature.